Auto Focus systems are developed to maintain precision focus over extended periods of time and can be used to automate image acquisition while scanning objects. Auto Focus systems combined with piezo stages can produce images with speed and precision even with varying environmental conditions. 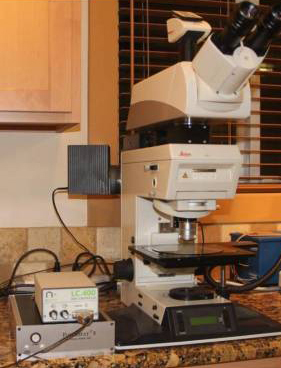 Auto Focus systems can be combined with conventional microscopes in many configurations. They can also be integrated into custom optical assemblies and commercial inspection equipment. Many factors can lead to causing a sample to drift or lose focus over periods of time. 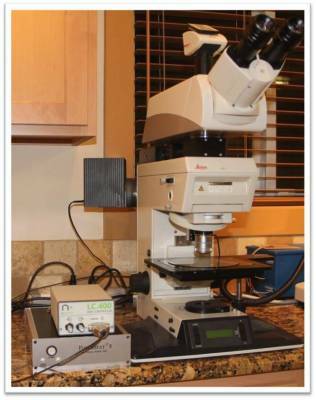 Thermal drift in the microscope and external mechanical vibration are examples. While positioning or scanning, changes in sample thickness will also cause a loss of focus. Auto focus systems allow a sample to remain consistently in focus regardless of changes in sample or external conditions. Piezo stages allow for close to real time focus while the sample is being moved. Piezo stages can be 10X faster than other common focusing systems, and closed-loop nanopositioning systems can provide nanoscale precision, repeatability, and stability. The autofocus system integrates into the microscope or optical assembly measuring and sending signals to the nPoint controller. These signals then are used to move the stage which in turn positions the optic to focus at the desired location. 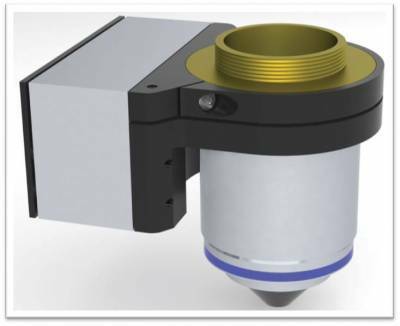 As throughput continues to increase and size of features decrease the ability to combine autofocus systems with piezo stages will continue to be an important tool for applications that require nanometer precision.